Now if 6 turned out to be 9, like Jimi Hendrix, I don't mind. Many Irish Lotto players probably don't mind either. And who can blame them? See the ball on the right? The Number 9 ball, drawn six times since January? It was called out as a Number 6 last month. 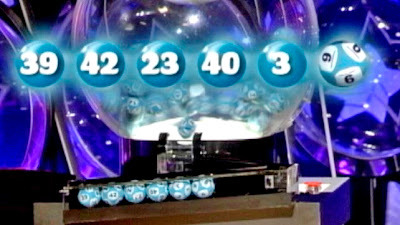 Ireland's National Lotttery has done the right thing though. At a cost of around €54,000, it's paying out in both cases. So, whether you had a 6 or a 9 in your numbers, you'll win the same amount.